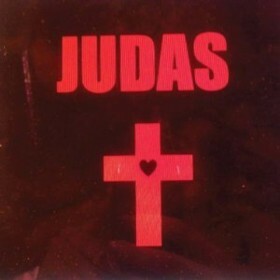 Judas is a song by Lady Gaga in the Pop genre. It was released in 2011 by the Streamline label. The artist's official site can be found at www.ladygaga.com. Judas has a nice beat but not much else. This latest techno/pop song by Lady Gaga has a nice beat which is very nice to dance to on a Saturday night. I found the overall beat to be similar to her other songs which is both a good and a bad thing as I was really hoping for something more unique this time from GaGa. The overall lyrics of the song are a bit on the depressing side as it deals with some serious issues that everyone has inside of them. The somber tone does not ruin the overall experience however and I still enjoyed dancing to this song. My main negative for this song is the repetitive nature of the lyrics. I am really starting to dislike the repetitive aspects of Lady Gaga's tunes. I have found that in each of her songs she tends to constantly repeat the same few words over and over again until it really starts to annoy me :(. I don't know why Lady Gaga always seems to put performance over her voice in each of her songs. Gaga really has a nice voice but seems to like to drown it out with all the techno mumbo jumbo in each of her songs. I really think someone needs to tell her how great a singer she really is and not to focus on all this unnecessary fluff. I recommend this song to all the Gaga fans, but to everyone else it is just a nice dance song.